In its most general sense, process improvement is an analysis of a series of set actions, especially in business, that is aimed at both improving quality and decreasing costs. The theory and practice of process improvement have increasingly been applied in various industries and corporate sectors for over two centuries. During this period, there have been many prominent process improvement gurus, both in the industry and within the academic sphere, but a few stand out as key names in the movement to achieve efficiency, quality, waste reduction, customer satisfaction and elimination of variance. Although most of them have passed on, their memory continues to live on in the revolutionary and innovative methods and concepts that are now so pervasive within the business environment today. We look at these individuals, how their work relates to each other and how their ideas continue to contribute to process improvement. The quality revolution kicked off in the late 18th and early 19th centuries, with Eli Whitney among the movement’s leaders. Eli came up with the idea of manufacturing using interchangeable parts. He believed that assembly of identical parts to create one finished product sped up the process and allowed for uniform quality of finished products during mass production. This method of assembly also lowered costs, since the interchangeable parts could be put together even by unskilled workers. As experts began to look closer at different work processes to see where more efficiency and cost savings were to be gained, one of the greatest husband-wife teams in science and engineering history stepped up to the plate. 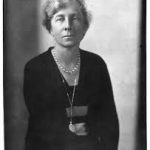 In the early 1900s, Frank and Lillian Gilbreth collaborated to develop the study of motion as a technique for use in both engineering and management. Until his death in 1924, Frank Gilbreth examined the relationship between people and human effort. His observation that people did the same jobs in different ways led him to try and find the most efficient of these ways that would require the least effort. 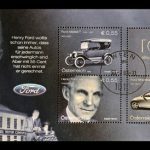 If there is one name that encompasses the global view of American business success in the 20th century, it would have to be Henry Ford. His manufacturing processes were so efficient and effective in reducing waste that even Toyota, the Japanese automotive giant, studied them. Besides encouraging his employees to build better cars, he also drove them to remedy any operational deficiencies that they found. For instance, he introduced the moving car assembly line in 1913 and ensured that the necessary parts were readily available at each stage to ensure that there was no need for the line to stop or slow down to allow a worker to sift through a pile of parts to find the one that was needed. With the American manufacturing sector growing quickly in the early 1900s as evidenced by the success of companies like Ford’s, and as products and markets became segmented and complex, organizations needed to develop ever more specialized business functions. As the new functions brought new capabilities and ways to work, it became necessary to find new ways to improve them. Frederick Winslow Taylor established himself as a major player in the effort to improve engineering processes during this period. Specifically, Taylor focused on the standardization of work, the study of processes, systematic training and the employee-management structure of manufacturing organizations. In the 1920s during his time working at Bell Labs, Walter Shewart devised the concept of statistical process control, allowing for improved planning and implementation of mass production processes. During this period, Shewart also developed PDCA – Planning (what needs to change); Doing (making and testing the change); Checking (seeing whether the desired outcome has been achieved) and Acting (making changes a permanent part of the manufacturing process). Yet another pioneer in the field of statistical quality control was Harold F. Dodge. He also worked at the Quality Assurance Department of Bell Labs alongside Harry Romig, where the pair was also responsible for the development of sampling plans. Dodge and Romig designed standardized schemes for use in sampling and published tables which related risks to sample sizes. 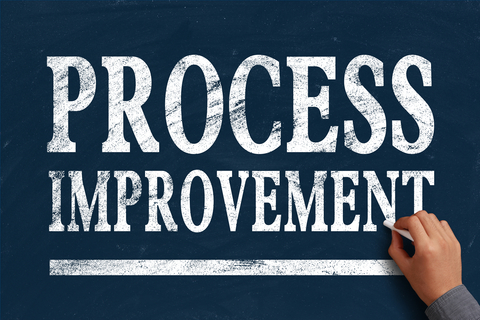 Process improvement has proven most effective when carried out with data and metrics behind the identification of any areas of waste, poor quality or inefficiency. Eugene Grant became well known for his work in the field of engineering economics after publishing a book on the subject in 1930. He also taught at Montana State University in the 1920s and at Stanford University’s School of Engineering in 1930 on how to improve processes through problem-solving and decision making at the operational level. Another process improvement guru responsible for important and enduring contributions to statistical quality control and the related sciences was George E.P. Box. However, he initially got into the field of statistics by happenstance rather than design. As a chemistry student carrying out scientific experiments during World War II, he needed the help of a statistician to help him make sense of the varied results he obtained. As there was no statistician available, he worked on his master’s degree in statistics, later taking up a job at Imperial Chemical Industries (ICI). In addition to research experimentation, he also helped ICI to improve its chemical and mechanical processes. In contrast to Frederick Winslow Taylor, Peter Drucker decided to take an approach that was much more sympathetic to employees, whom he termed as “knowledge workers.” This was a stark contrast to Taylor’s highly structured and often inflammatory treatment of the common worker. By focusing on decentralization and simplification, Drucker pioneered the concept that we recognize today as outsourcing. The key influences on business process improvement in the 1940s and 1950s were W. Edwards Deming and Joseph Juran, who made enormous contributions to the idea of Total Quality Management (TQM), which places the human aspect at the forefront of quality management. Deming and Juran were also responsible for many of the statistical quality control methods in use for the improvement of manufacturing processes. Much of the process improvement methodologies and tools that have become so popular today were developed in the period between 1950 and 1080, when Japan quickly emerged as the leader in manufacturing efficiency and quality. In 1950, engineer and statistician Genichi Taguchi joined the Nippon Telegraph and Telephone Corporation’s Electrical Communications Laboratory (ECL), at a time when the ECL was embroiled in a heated rivalry with America’s Bell Labs for the development of telephone switching systems. Taguchi also consulted widely with Toyota and other top manufacturers in Japan. His ideas on the loss function, experimental design and the reduction of variation have had a huge influence on fields beyond manufacturing and process engineering. At the end of the Second World War, productivity at Toyota was way lower than the mighty American car industry based out of Detroit. The president of Toyota declared that his company must catch up with the Americans in three years and tasked Taiichi Ohno as part of the team to achieve this vision. He quickly deduced that the only reasons why the company was unable to match Detroit’s motor industry were waste and inefficiency. 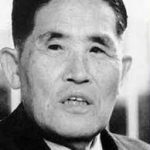 The strategy and methodologies that he and his team developed from the mid-1940s to the mid-1970s formed the basis of the famous Toyota Production System (TPS). 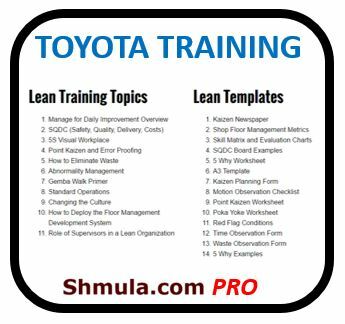 Another notable name in the practice of process improvement to have had an impact at Toyota during this period was Shigeo Shingo. A leading consultant on the improvement of manufacturing operations, he was greatly influenced by the work of Fredrick Taylor. In 1955, he joined Toyota and quickly developed the SMED system and error proofing. It is said that he managed to cut down the set-up time of a press from four hours to only three minutes. Throughout his life, he traveled around the world giving memorable talks on process improvement and carrying out remarkable projects as a consultant. Kaoru Ishikawa is widely considered to be the “Father of Japanese Quality.” He not only invented the cause and effect diagram (Fishbone diagram), but was also responsible for the development of the Company Wide Quality Control (CWQC) method. In order to reduce workplace conflict, he also devised the “next operation as the client” concept. His belief was that management should not only be satisfied with offering the customer a quality product, but should also offer service to the customer after they had purchased the product. During the late 1970s and into the early 1980s, Noriaki Kano, a consultant and professor of quality management, set up the foundation for a radically new approach to customer satisfaction. He challenged the belief that to achieve customer satisfaction, it was necessary to improve all attributes of a product or service. Kano instead stated that only certain attributes need to be improved. The Kano model for customer satisfaction puts customer preferences in five quality categories. With Japan’s eminence in manufacturing based largely on its automotive industry, it came as little surprise that the US would try to find out how America’s car makers performed in comparison. James P. Womack and Daniel Jones carried out a study on American car manufacturing efficiency titled “The Future of the Automobile.” It indicated a 3:1 productivity ratio in favor of the Japanese, in contrast to Taiichi Ohno’s estimate in the 1950s which showed that Detroit’s worker productivity was nine times higher than that of Japan’s car manufacturers’. 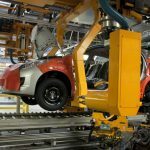 Womack’s book, “The Machine That Changed the World” used the study’s findings to conclude that Lean manufacturing in Japan produced higher quality products by using half the resources required by American car makers. The GPRI model was initially mooted by Richard Beckhard in 1972. An acronym for Goals, Roles, Processes and Interpersonal Relationships, it represents the critical and interrelated aspects required for effective teamwork. The model, which started out in social science but has since been adapted for the change acceleration process (CAP) toolkit for Six Sigma, helps team leaders to ensure efficiency, quality and productivity. As the 1970s drew to a close, it was apparent that North America and Western Europe were losing out to Japan’s more efficient manufacturers who produced reliable, affordable and high-quality goods at a fraction of the cost. 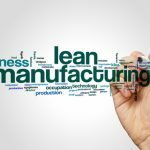 Armand Feigenbaum, a process improvement consultant, estimated that as much as 40% of the capacity of manufacturing plants that do not follow lean principles is wasted. Finally, a Way Back for the West? By the time Philip Crosby’s book “Quality Is Free” hit the market, the US manufacturing industry was slogging through a recession and struggling with foreign competition. Crosby provided a 14-step blueprint for the improvement of quality, and introduced the manufacturing world to the “zero defect” concept, which many considered to be a sure recipe for success. Eliyahu M. Goldratt, an Israeli businessman, took an unorthodox approach to publish his theory of constraints by having it as the central theme of a novel called “The Goal.” His theory states that the weakest link in a business process – a constraint – needs to be identified since it keeps the rest of the process from successfully achieving its goals. When constraints have been identified, they can be fixed or eliminated. 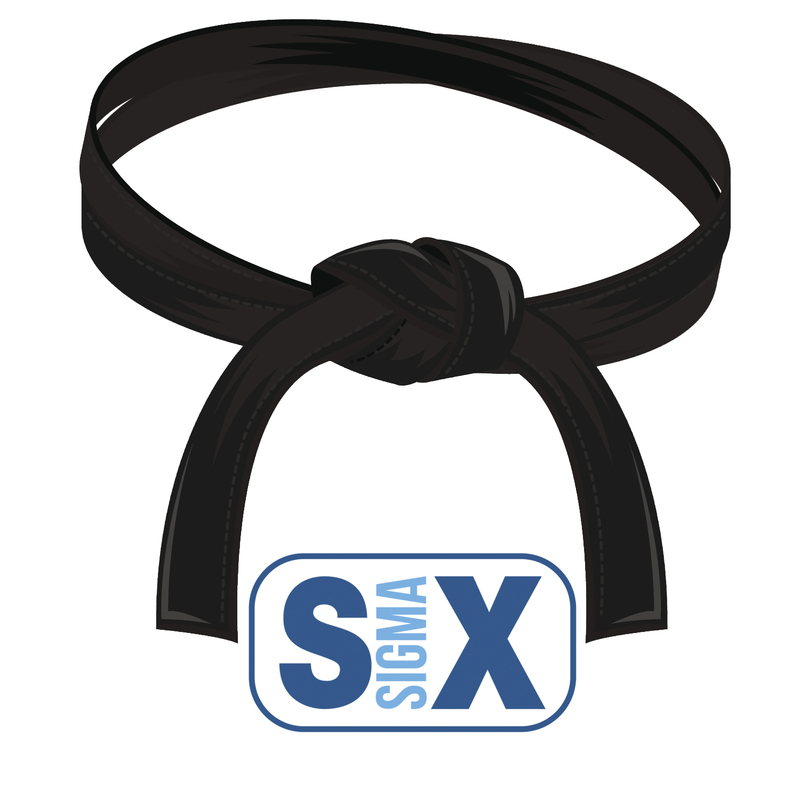 One of the most celebrated methodologies in use by process improvement professionals in the world today is Six Sigma. The name of this framework was coined by an engineer at Motorola known as Bill Smith. In the early 1980s, under the chairmanship of Bob Galvin, engineers at Motorola felt that traditional measures of quality, which measured defects in terms of thousands of opportunities, were not granular enough. They instead measured defects that occurred per million opportunities, created a culture that supported it and gave it the now iconic name. Because of the incredible bottom-line results that Bill Smith’s methodology achieved for Motorola, it has been adopted by tens of thousands of organizations from across the globe.